Newcomer Adam Langdon will star as Christopher John Francis Boone in the upcoming national tour of Simon Stephens' The Curious Incident of the Dog in the Night-Time. The touring production of the Tony Award-winning play will launch on September 27 in Rochester, NY, before continuing to additional cities across the country. Langdon graduated from The Juilliard School of Drama in 2015. His stage credits include Kimberly Akimbo, I Saw My Neighbor on the Train and I Didn’t Even Smile, Hapgood, Robin Hood and Dreamtime. Langdon's appeared on TV in Red Oaks, The Good Wife, Great News, The Path and Difficult People. In addition to Langdon as Christopher, the cast of the Curious Incident tour will include Gene Gillette as Ed, Felicity Jones Latta as Judy, Maria Elena Ramirez as Siobhan and Amelia White as Mrs. Alexander. The ensemble includes Brian Robert Burns, Francesca Choy-Kee, Josephine Hall, John Hemphill, Robyn Kerr, Kathy McCafferty, J. Paul Nicholas, Geoffrey Wade and Tim Wright. 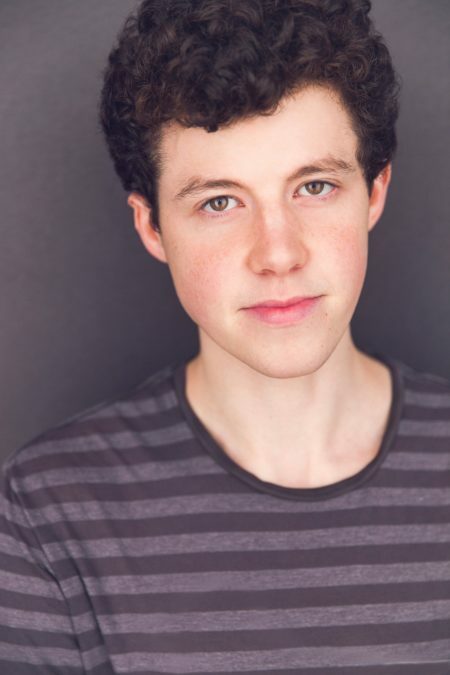 Benjamin Wheelwright will play Christopher at certain performances. Based on the novel by Mark Haddon, Simon Stephens' The Curious Incident of the Dog in the Night-Time follows Christopher (Langdon)—a fifteen-year-old who is exceptionally intelligent but ill-equipped to interpret everyday life. When he falls under suspicion for killing his neighbor’s dog, he sets out to identify the true culprit, which leads to an earth-shattering discovery and a journey that will change his life forever. The play premiered at the U.K.’s National Theatre in 2012 and went on to transfer to the West End and win seven 2013 Olivier Awards. Curious Incident took home five 2015 Tony Awards, including Best Play and Best Direction of a Play for Marianne Elliott.